Do you remember being in school as a kid? You were there all day and then came home and did entirely too much homework. By the time you were finished with everything, your evening was shot and there wasn't much point in doing anything else. 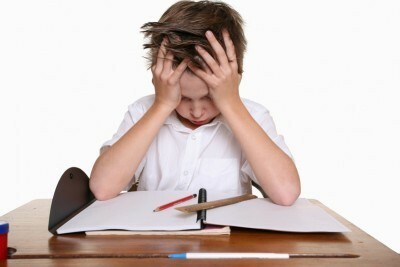 Recent research is saying all that homework is actually pointless. I'll bet you wish they would've realized that then, right? Unfortunately, the people who actually matter still haven't realized it. And now, it's worse than ever. The amount of homework we had growing up was nothing compared to what little kids are coming home with these days. And while we're on the subject, is the battle with your kids over homework really worth it? How unfair! See for yourself on the next page.